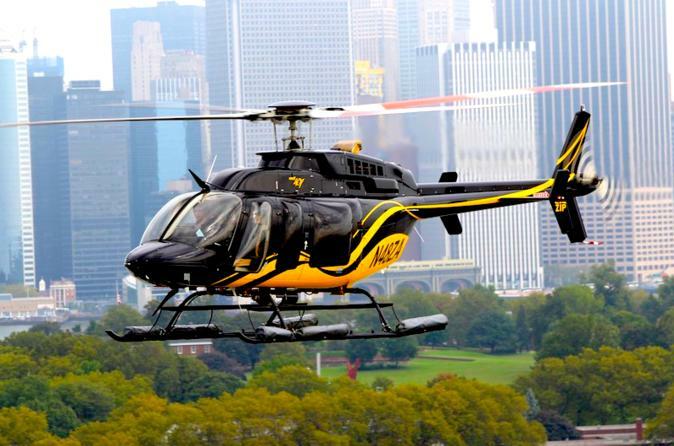 Sports fans will be thrilled as your helicopter rounds the bases of the New Yankee Stadium, the world's third most expensive stadium when completed in 2009. While you are in the air, see George Washington Bridge and head back over Manhattan to take in New York's world-famous skyline featuring the Empire State Building, the Met Life Building and the art deco magnificence of the Chrysler Building. You'll see the Bronx, Queens, Brooklyn and Staten Island, and view the Queensboro, Brooklyn, Manhattan and Williamsburg Bridges. The aerial views of the United Nations Building and South Street Seaport are unforgettable as your flight brings you back to New York Harbor over Ellis Island, the first stop on American soil for over 20 million immigrants.